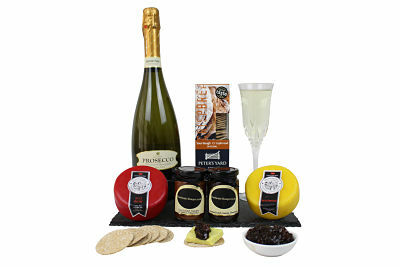 The Cheese & Prosecco/Champagne Gift Hamper is the perfect gift of your own creation. 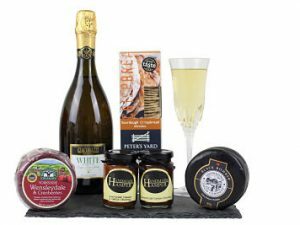 From our superb Award Winning range, choose your favourite cheeses and our own Handmade-Hamper chutney’s to accompany a fine bottle of Prosecco or Champagne to make this the perfect gift. 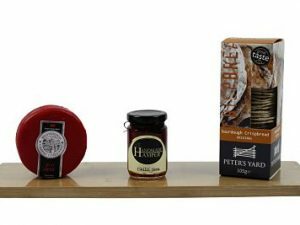 Presented in a stylish black lidded box and finished with a red bow it will definitely be the talking point of any after dinner table. 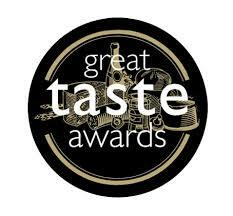 Gifts containing Cheese may only be delivered Tuesday to Saturday to keep the gift as fresh as possible.